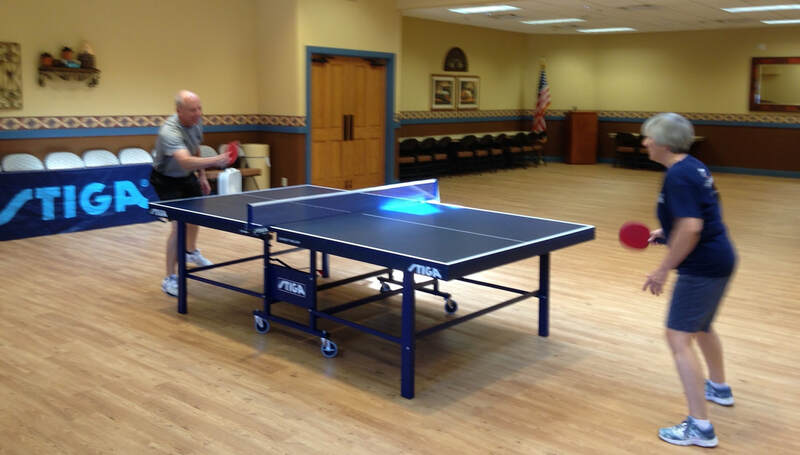 The Villages Table Tennis club doesn't play at just one location, we have eleven different venues. We are playing at one or more venues everyday of the week. Repairs are complete, we are back up to six tables available for play. Two new tables just arrived bringing the total to six. La Hacienda has two tables for recreational play. Lake Miona has six tables available for play. 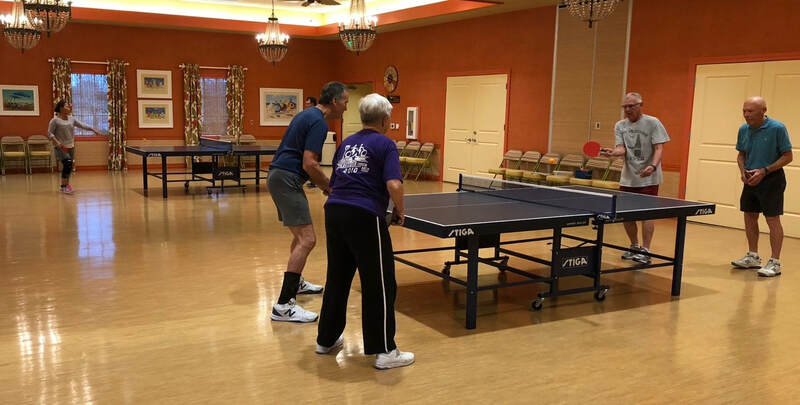 Laurel Manor is the center of table tennis in the Villages. With eight tables it draws the biggest crowds and the best players. 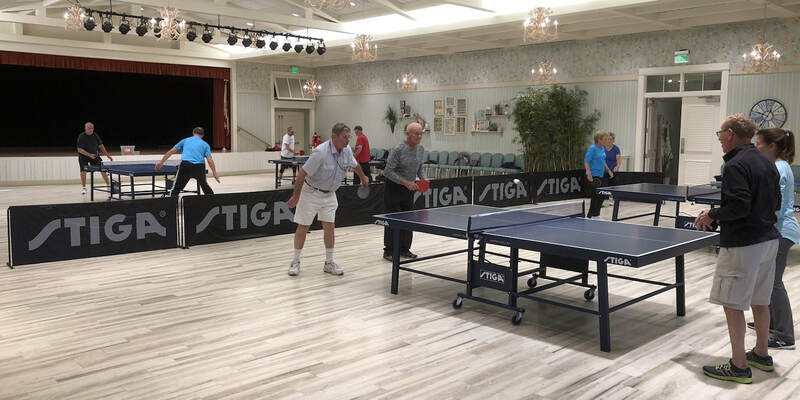 Meetings of the Villages Table Tennis Club are held at noon on Sundays. Mulberry Grove can be setup with up to six tables for play.